During a working visit to Latvia on 23-24 February, Lithuania’s Minister of Foreign Affairs Audronius Ažubalis met with President of Latvia Valdis Zatlers, Speaker of the Saeima (Parliament) of Latvia Gundars Daudze and Latvia’s Foreign Minister Maris Riekstins. Bilateral relations, Eastern Neighbourhood policy, security, energy, transport and other issues were discussed during the meetings. 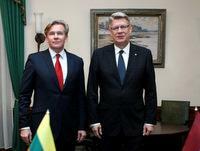 This was the first bilateral visit of the new Lithuania’s Minister of Foreign Affairs A.Ažubalis. During the meeting with Latvia’s President, the Eastern Partnership was discussed. President V.Zatlers and Minister A.Ažubalis noted that in the future the EU’s visa-free regime should be applied not only to Russia, which aims at it, but also to other partners in the Eastern Neighbourhood. During the conversation with the President of Latvia, the Minister also raised the issue of the ratification of the sea border agreement by the Latvian Parliament. Lithuanian and Latvian foreign ministers expressed their satisfaction with good bilateral relations and a successful trilateral cooperation of the Baltic States. Ministers A.Ažubalis and M.Riekstins agreed to analyse the possibilities for sharing premises of the Lithuanian and Latvian diplomatic representations in third countries. The meeting also focused on the strengthening of cooperation between the Baltic States and the Nordic countries, which is one of the priorities of the Baltic Council of Ministers and the Baltic Assembly in 2010. Both ministers highlighted the importance of close relations between the Nordic countries and the Baltic States. 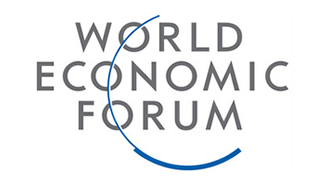 Lithuania’s Minister of Foreign Affairs emphasized that when increasing competitiveness, introducing high technologies and innovations, enhancing energy efficiency and the usage of alternative energy sources, the Baltic States should continue to benefit from the successful experience of the Nordic countries in these areas. “The implementation of the EU Strategy for the Baltic Sea Region will serve for the strengthening of energy security, the development of people-to-people, cultural, educational, scientific and tourist relations, as well as for the economic and social cohesion in the Baltic Sea region’,” Minister A.Ažubalis said. During the conversation with his Latvian counterpart, head of Lithuania’s diplomacy stressed the importance of ratification of the sea border agreement between Lithuania and Latvia by the Parliament of the neighbouring country. Minister A.Ažubalis also said that a political will in Lithuania and Latvia was necessary for the implementation of energy infrastructure projects which are important to all the Baltic States: the new nuclear power plant and energy links with Sweden and Poland.